The below pictorial covers the repair itself only. 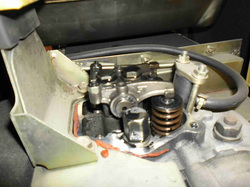 For engine dismantling and assembly, see related pages. Wear gloves all along this intervention. This engine stopped suddenly and does not restart. It cranks easily and at a high speed denoting a lack of compression. It seems one at least of the valves is stuck open. You may follow the below steps if you're facing similar trouble. 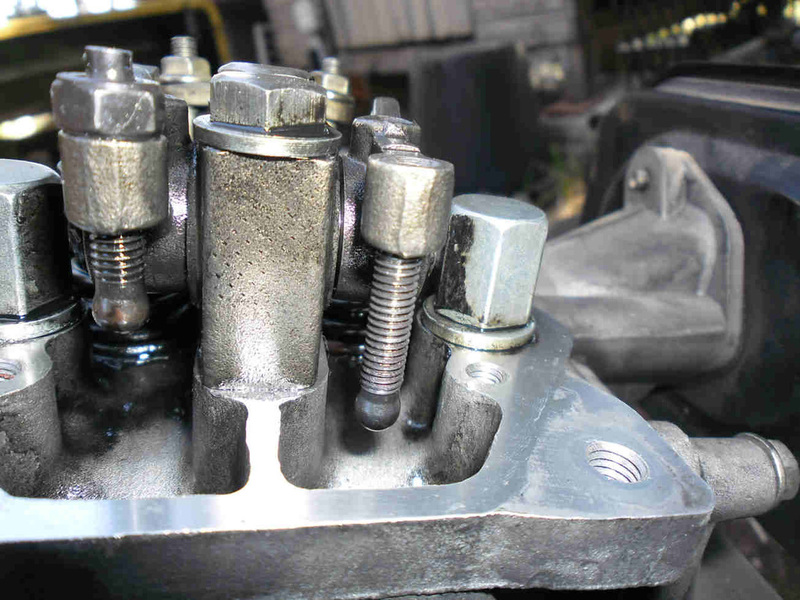 1- Remove the valves cover. 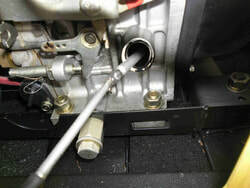 4- Find the valve rod cap and put it aside. 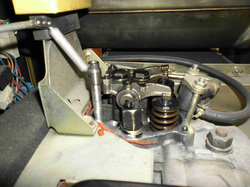 7- See related pages for extracting the generator from its canopy, separating and dismantling the engine. 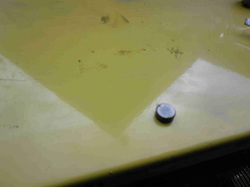 Pick the second half of the valve screw with a magnet. 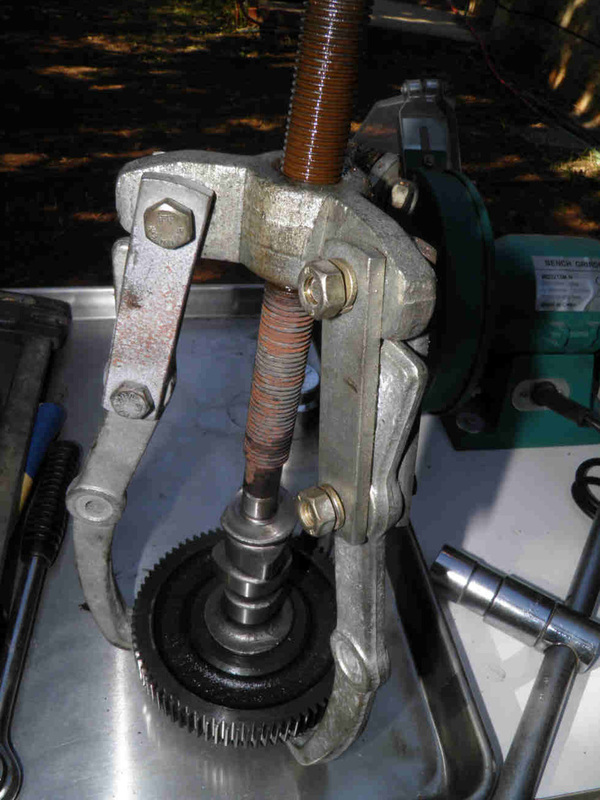 10- It also appeared that the crankshaft end is worn when purchasing a new bearing. A new crankshaft was purchased. 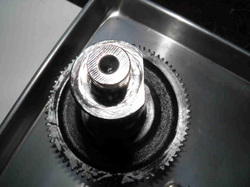 13- Transfer the small pinion blocker from shaft to shaft. 16- Continue with your extractor used from the other side. 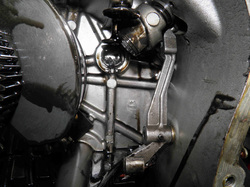 2- The inlet valve adjusting screw is found broken and half of it missing. 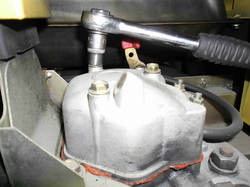 5- Open the oil refill plug and insert a magnet tool. 8- The presence of debris is for sure linked to the broken screw reason why the camshaft is carefully inspected. 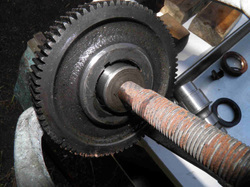 11- Now the pinion needs to be moved to the new shaft. Spray a lot of WD40 and extract it. 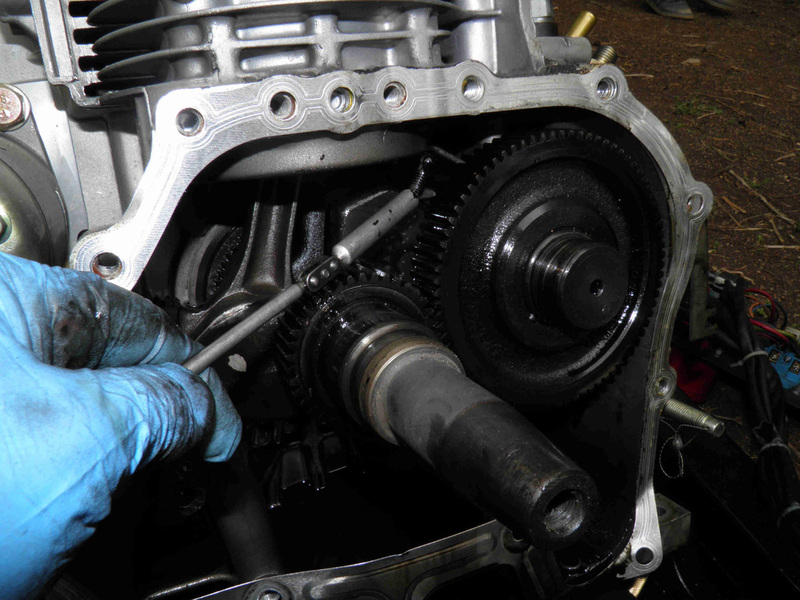 14- Place the pinion by hand first, find a socket of the appropriate diameter. 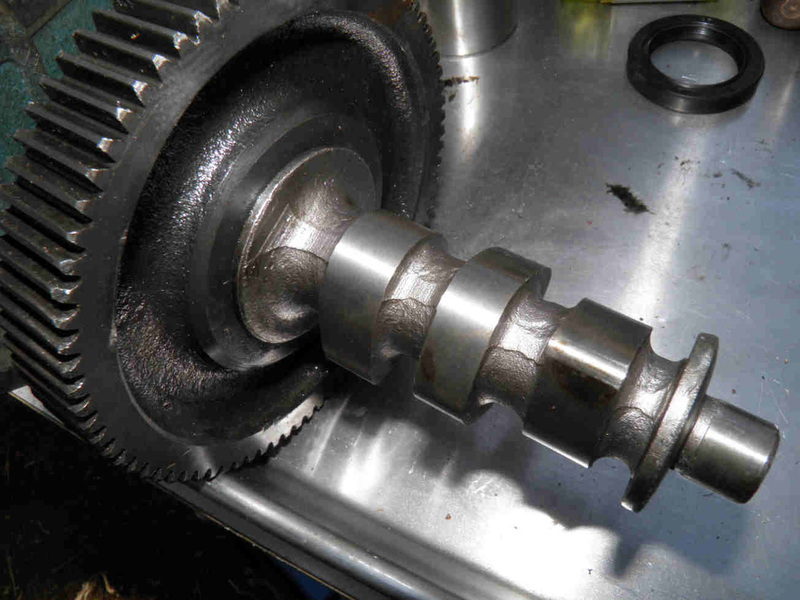 17- The pinion has been successfully transferred to the new shaft. 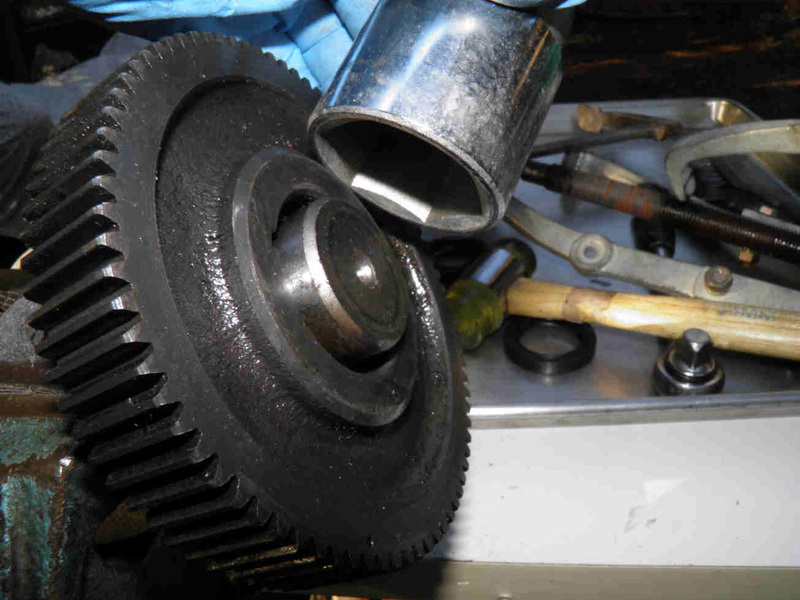 19- Complete your repair by fitting a new valve driving screw. 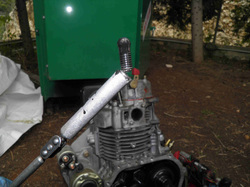 See the related page for reassembling your engine and generator. 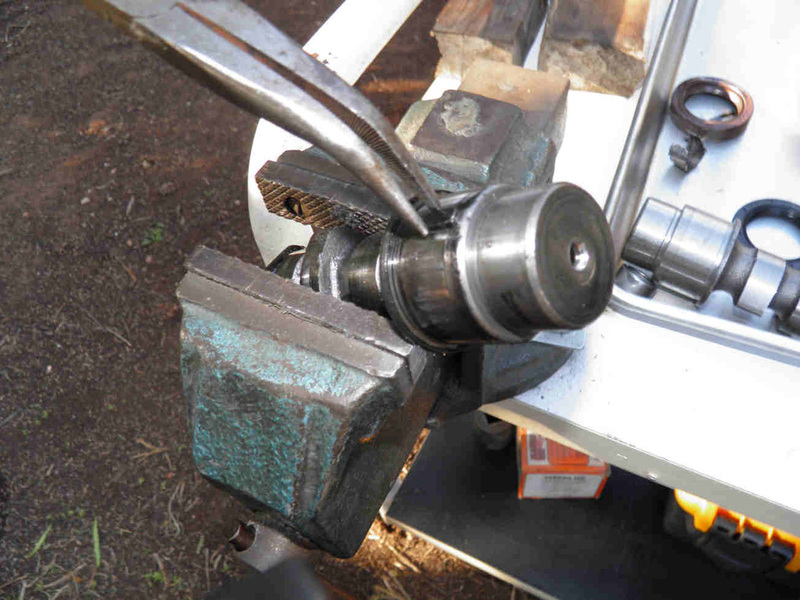 3- Take out the driving rod with a magnet tool and check if it is straight. 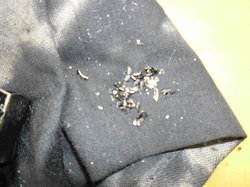 6- The collected debris indicate something is broken inside the engine. 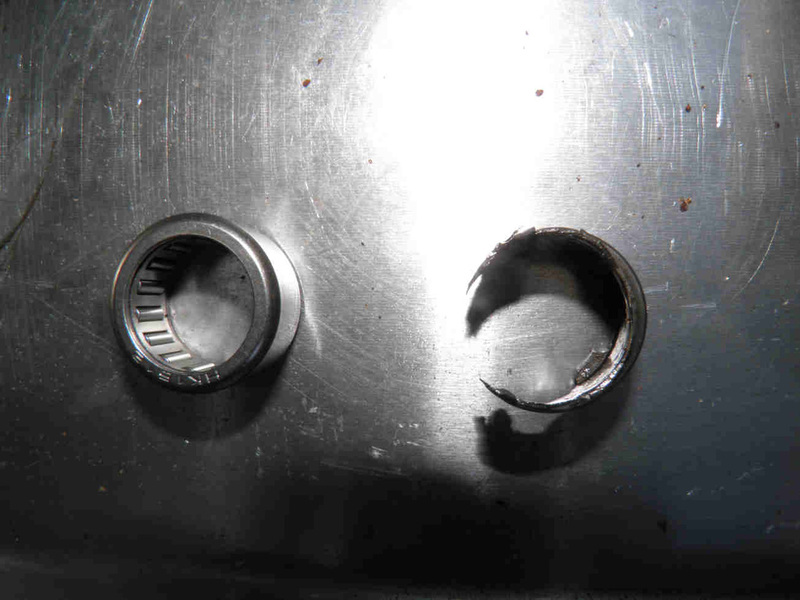 9- The crankshaft bearing is found broken. Some of it has melted into many small parts. The problem is found. 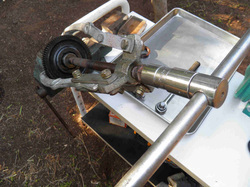 12- it will come our after applying some strong force on the extractor. 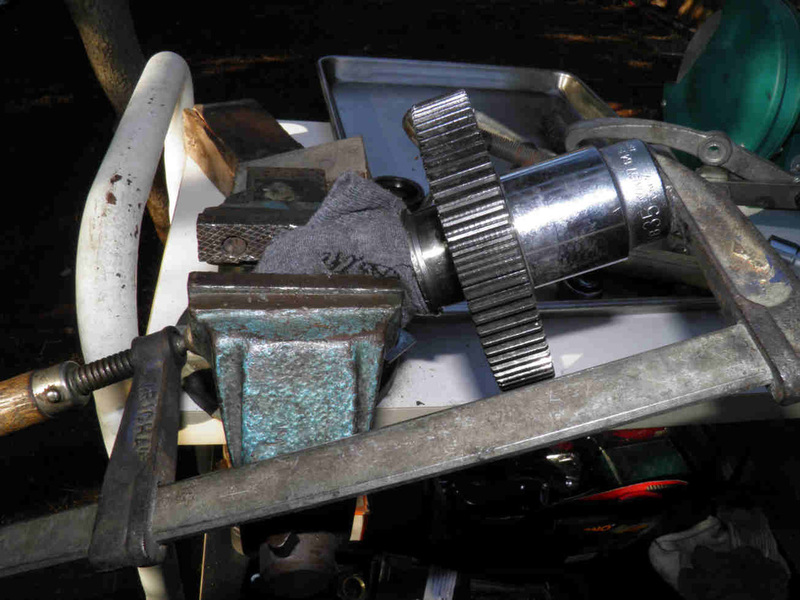 15- Give it a first push with a C-clamp to make sure it goes straight.